For me, the Internet of Things is most exciting when you look at just how far reaching the capabilities are. There is so much technology out there, with new devices emerging all the time, that can benefit from connectivity to the web. Over the next few months at SitePoint, I’ll be looking at the various possibilities that the Internet of Things can bring, reviewing a different platform or device in each article. In the previous article, we looked at how to pull in data from the Jawbone Up. This time around, we’ll be bringing IoT data into Unity, a widely used games engine that is used to build everything from iOS and Android games to console and Facebook games. It is also emerging as an engine that’ll be used on the Oculus Rift, Gear VR and more, so it’s a fun one to try pairing with the IoT. Imagine a game that adapts to real world conditions like weather and light, if it suddenly goes dark in your room, the game world suddenly goes dark too! 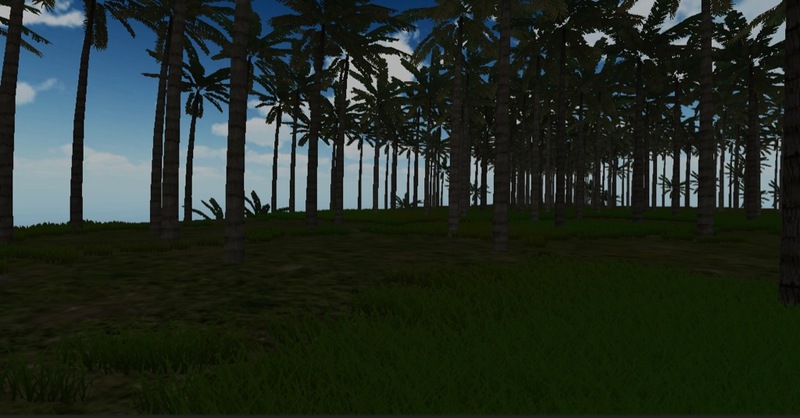 To start with, we’re going to connect up a Unity scene to a weather API, allowing us to use real-world weather data in our virtual world. Then we’ll connect up a Spark Core to use its light sensor data. 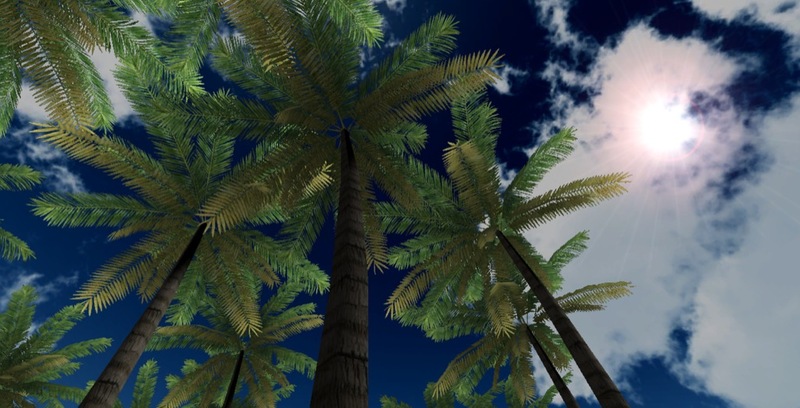 In this article, we’re assuming that you know all about setting up a scene in Unity, with a skybox, terrain and lighting. We’ll be building from a scene that has all of this ready and set up. My code samples will be in C# but it is possible to do the same sorts of things in UnityScript if you’d prefer. Working demo code for those who’d like to see this in action is available here. 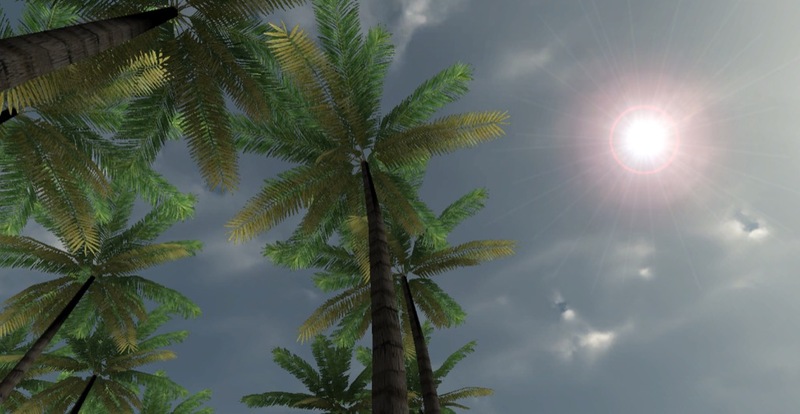 Our first example of bringing in real world data will be setting up a skybox to change texture depending on the weather. Our sky is going to change to reflect the weather in our real world city! 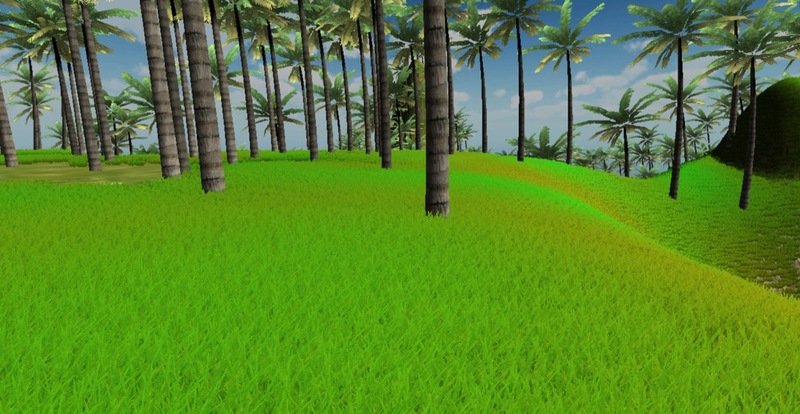 We’ll use OpenWeatherMap to pull in the latest weather data into Unity. Install it into your project and you’ll have access to the `JSONObject` class in your code. We should have everything we need for the code above to work, so it’s about time we cover what’s actually happening in that code. We register two public variables for us to define – clearSky and cloudySky. Here we are starting our Coroutine. A Coroutine allows us to pause the function’s execution whenever we need to. We do that using a yield statement inside the Coroutine. We’ll be using it to wait for our web API response and to wait before regularly repeating our web call. Within it, we surround its contents with a while (true) statement, this will allow it to loop when the very last yield is returned. That makes a web call to http://api.openweathermap.org/data/2.5/weather?zip=2000,au, which you can adjust to include whichever postcode and country code you’d like (I’ve got 2000 for Sydney and au for Australia). We then set up a WWW object with that URL and then set up a yield which will return true once it has retrieved the contents at that address. Until then, it pauses this function. Finally, we set our final yield to wait for 60 seconds, then return true. This will repeat our while statement every 60 seconds, checking the weather every minute. 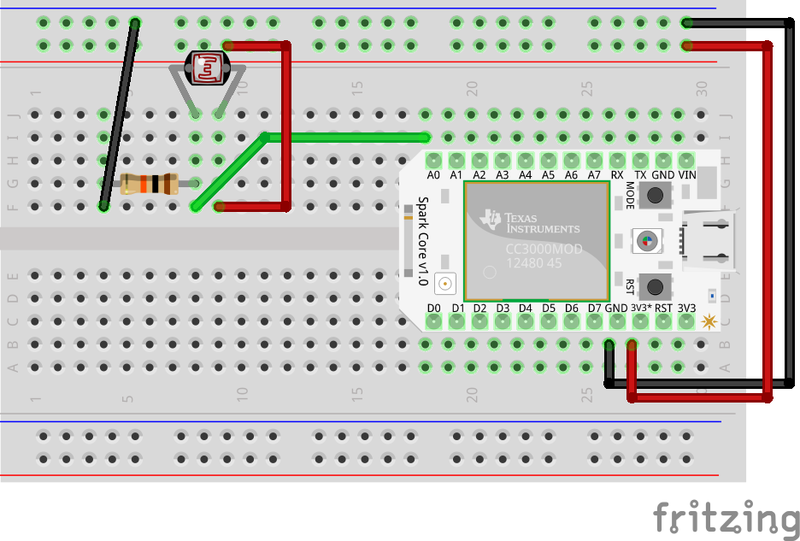 We can expand this idea further into the world of the Internet of Things by bringing in a microcontroller like a Spark Core or an Arduino. In this article, I’ll be using a Spark Core as it’s quite easy to get going and has its own cloud API that makes this really simple. If you have a different device, the same technique will be possible, you’ll just need to direct it to a web service showing that device’s levels. I won’t go over all the details of how to use a Spark Core and get it set up, if you are new to Spark Core, the team at Spark have a quick overview here – http://docs.spark.io. We can connect up the data from this Spark Core set up to our Unity scene. Let’s bring our Spark Core data into the scene. We are going to control the level of light from our artificial sun using the level of light around our Spark Core! 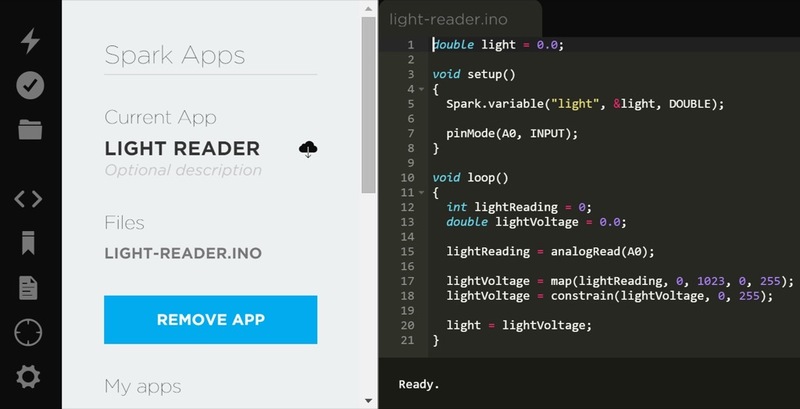 The code above is structured in the same way as our previous example, however we connect to the Spark Core API and change the settings of our Light object instead. This will allow us to reference our Unity world’s sun. Then, within our Coroutine, our WWW call is made to the Spark Core API using the device ID and your access token. You can get both of these from [build.spark.io](https://build.spark.io) (the same URL you can go to in order to put code on your Spark Core). We define these at the start of our IoTLight code. We read in the data and turn it into a JSONObject and get a numerical value for the light value itself (this value will be from 0 – 255), which is in the result part of our JSON. We then set our light intensity. The light intensity needs to be from 0 to 1, so we divide our light value by 255. Things should be looking good by this point! If we’ve got our Spark Core set up and running alongside our Unity scene then we should see the light level from our sun match the light level around our Spark Core. Bringing data from web APIs and IoT devices like the Spark Core can bring a whole new interesting element to your Unity scenes! Using this basic concept, you can connect a whole range of different APIs and data sets to your Unity objects. Experiment! Have fun with it!